touchAble: "designed by live users for live users" says the developer. 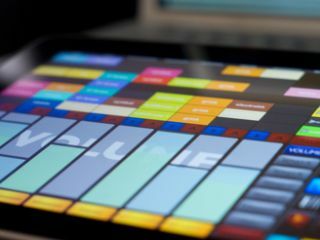 touchAble is the name of a forthcoming iPad controller for Ableton Live, and if the preview video is anything to go on, it's going to be a pretty good one. We reported on Liine's Griid, another Live controller, a couple of weeks ago, but if anything, touchAble has even more potential. Our first impression is that it enables you to use Live without going near your computer - as well as being able to mix and launch clips, you can play synths on the keyboard and record beats on the drum pads. In fact, if it works as promised, touchAble might end up feeling almost like an instrument in itself. Price and release date are still to be confirmed, but the touchAble website does say that the software is coming to the App Store soon.